Arizona. House Bill 2544. Text of Bill. Article. Summary: The bill would require that a long-form birth certificate including “the names of the attending physician and the signatures of witnesses.” Status: Senate version, SB 1526, rejected in committee, passage unlikely. Senate Amendment to HB 2177 strikes the content of that bill and replaces it with a Birther Bill. Summary: This bill requires a long form birth certificate for someone born in a hospital. Status: Passed by the Arizona House and Senate. Vetoed by Governor Brewer. Connecticut. SB00391. Text of Bill. Summary: The bill would require candidates for President and Vice-President to submit their “original birth certificates.” Status: Joint Committee on Government Administration and Elections; expected to die in committee. Georgia. HB39. Text of Bill. Summary: Georgia requires the original birth certificate and also allows the citizens to challenge the documentation. HB 401. Text of Bill. Summary; Makes it a crime for an elector to vote for a candidate not approved by the Secretary of State. 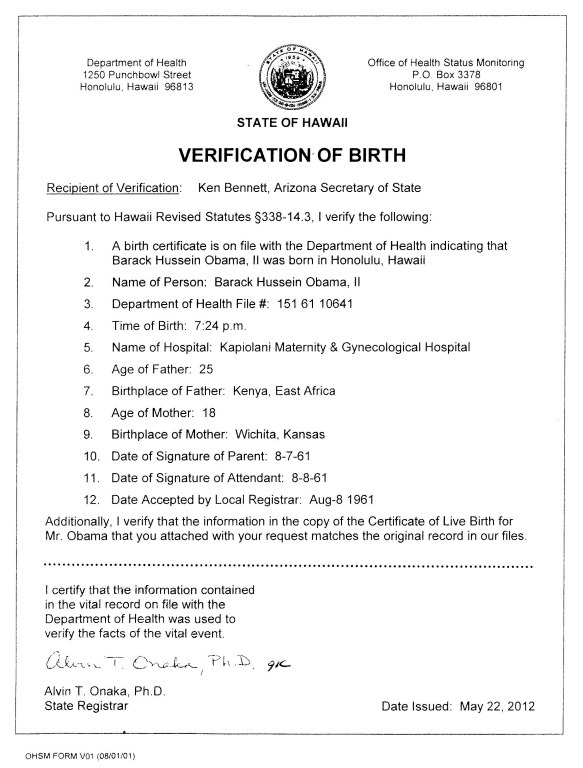 It requires an “original long form birth certificate” including attending physician, and parents’ place of birth. Status: Appears dead. It was not reported out of committee in time to be considered by the Senate. Iowa. SF368. Text of Bill. Summary: Requires certified copy of birth certificate for candidates. Status: Senate State Government Committee. Louisiana. HB561. Text of Bill. Article. Summary: Requires certified copy of birth certificate and birth in a hospital plus affidavit of residency. Any registered voter may sue. Status: Introduced. Maine. LD 34. Text of Bill. Summary: Requires birth certificate and ID. Status: REFERRED to the Committee on VETERANS AND LEGAL AFFAIRS. Missouri. HB283. Text of Bill. Summary: requires “proof of identity and proof of United States citizenship for each nominee.” Status: March 1 2011 – Public Hearing Completed (H). HB 121 passed by House. Montana. House Bill 205. Text of Bill. Summary: The bill would require candidates for President and Vice-President to submit a certified copy of their birth certificates. 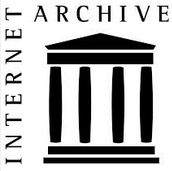 Status: February 24 2011 – (H) Missed Deadline for General Bill Transmittal. Nebraska. LB654. Text of Bill. Summary: This bill would require a candidate to certify that their parents were citizens of the US at time of the candidate’s birth. Status: February 16 2011 – Notice of hearing for March 10, 2011. New Hampshire: Article: Summary: Requires affidavit of eligibility from candidate. Status: Unanimously rejected in committee. Oklahoma. SB91. Text of Bill. Status: Reported Do Pass, amended by committee substitute Rules committee; CR filed. Summary: Requires candidates for all offices to provide birth certificate. Allows for citizens born abroad. Public inspection of documents. Status: Passed in the Senate, now in House Rules Committee. SB384. Text of Bill. Status: Senate Rules Committee. Summary: Requires birth certificate or certificate of birth abroad [to US Citizens]. SB540. Text of Bill. 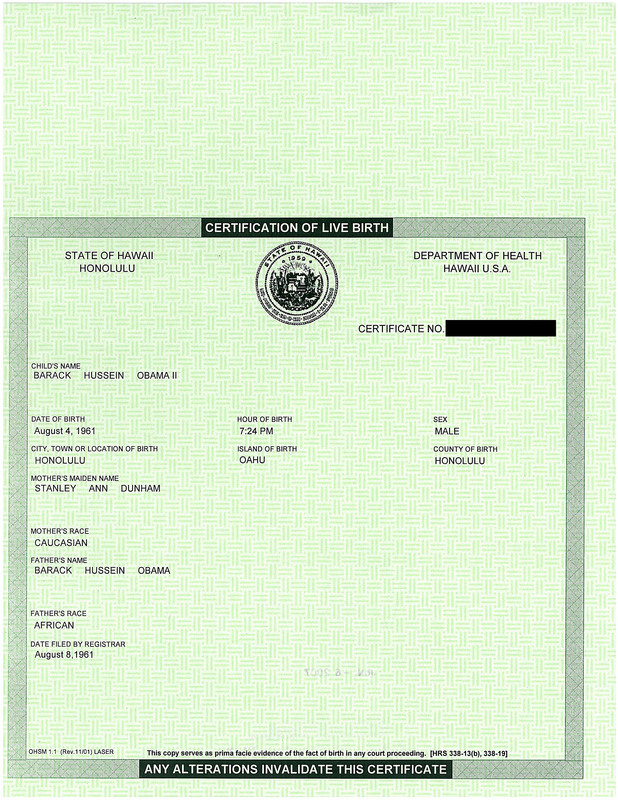 Summary: Original or certified copy of birth certificate. Allows any voter to challenge citizenship. Status: Senate Rules Committee. Tennessee: SB366: Text of bill. Summary: This bill would require candidates for President and Vice-president to submit documents that provide that the candidate is a natural born citizen and meets the constitution requirements for age and residency. The submitted documents must include an original “long form birth certificate” that includes the name of the hospital, attending physician and witnesses. Status: ref. to S. S&L Govt. Comm. Status: Voted down in House subcommittee. Texas. HB 295. Text of Bill. 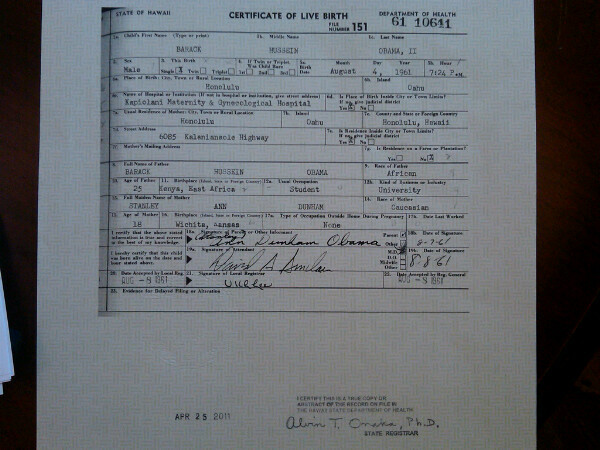 Summary: Requires: original birth certificate indicating that candidate is natural born citizen. Status: referred to State Affairs. HB 529. Text of Bill. 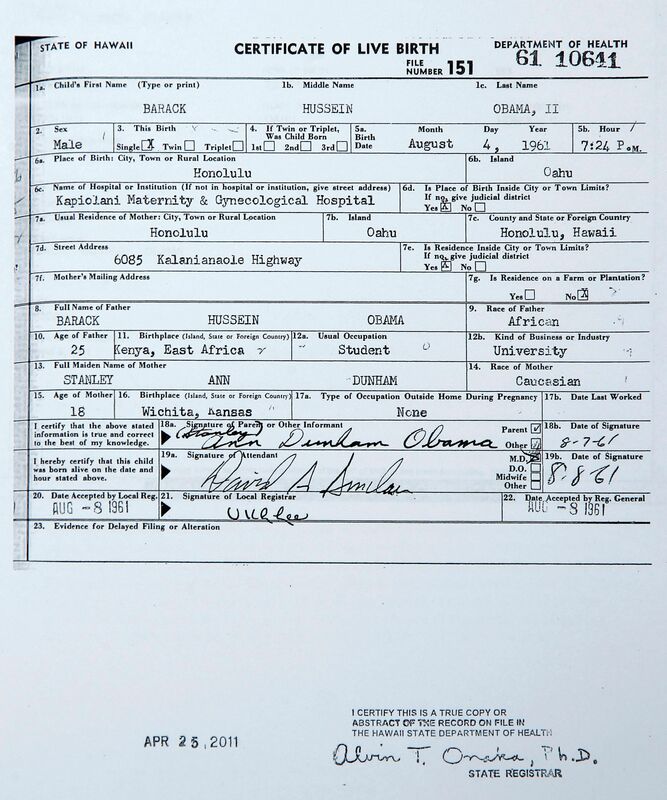 Summary: Original birth certificate showing hospital and physician OR other document certifying birth in the US. Status: Pending – House State Affairs Committee.